It has been a hectic week selecting the final 45 cat photos for COTW IV, but finally they are sent to print at MicroGrafix (thanks Richard!). This year, we're also making them into lovely cat postcards (thanks to Joy and Kevin of Purple-Pixel.com!). 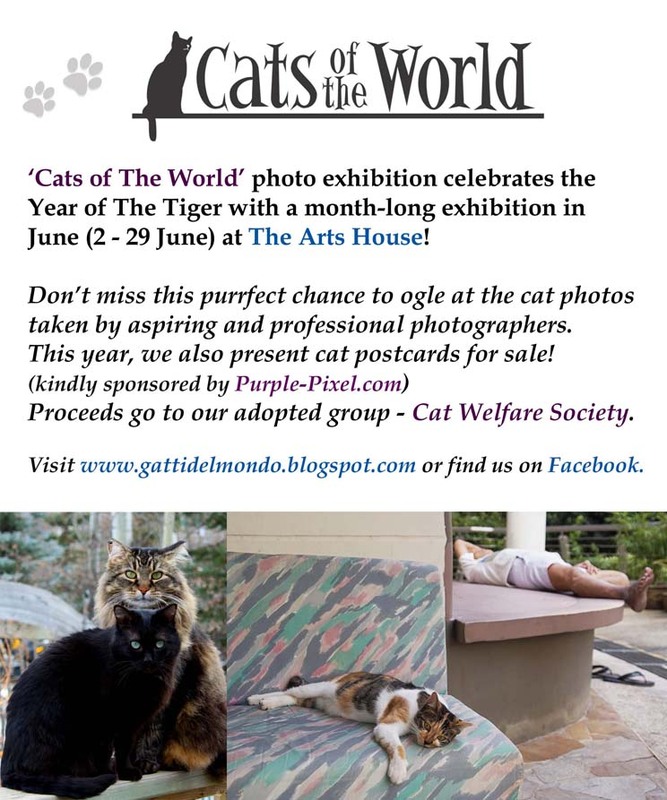 We have a fantastic line-up of cat pics this year taken by 29 photographers, so come for the preview on the opening nite on 2 June Wed at 7pm at The Arts House (1 Old Parliament Lane; opp Boat Quay/ nearest MRT: Raffles Place). Cat Welfare Society will be there too, so lend us your support. See ya!